Hi everyone, for your listening pleasure, here are our six suggested albums for the week; five streaming albums and one album on CD. 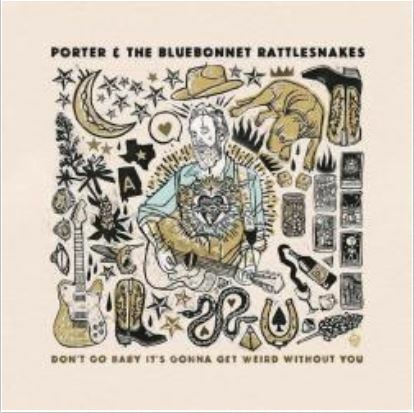 Porter & the Bluebonnet Rattlesnakes consisted of singer-songwriter Chris Porter, singer, mandolin player and bassist Mitchell Vandenburg and drummer Adam Nurre. The group completed this LP earlier this year; however, before it was released they were visited by tragedy. On October 19, 2017, the band was involved in an automobile accident and Porter and Vandeburg were killed. Adam Nurre was injured in the crash but survived; thus this LP is both the debut album and swansong by the group. Songs on the LP include: Bittersweet Creek, Your Hometown, Edith, When We Were Young, November Down and East December. Russ Ballard first came to prominence as the lead singer for the classic rock band Argent. While with Argent he wrote and sang one of their best known songs – God Gave Rock N’ Roll To You. And then he launched a solo career. 1978’s At The Third Stroke is his most critically acclaimed solo LP to date. The album features the songs: Dancer, Helpless, Cast the Spirit, Look at Her Dance, What Does It Take and My Judgment Day. This streaming collection featuring 83 songs, is just like the title says – a mixture of beat, square and cool jazz from a variety of films made during fifties and sixties. Songs featured in the set include: The Wild One and Blues for Brando by Shorty Rogers & His Orchestra, The Crime by Los Angeles Music Festival Jazz Orchestra, Theme from I Want to Live by Gerry Mulligan’s Jazz Combo, Stakeout by Johnny Mandel & his Orchestra and Guitar Amour by Duke Ellington & Billy Strayhorn. On this LP, the very talented Andre Previn is working as the leader of a Jazz trio which includes Previn on piano, Red Mitchell on bass and Frankie Capp on drums. Songs on this classic album include: You’d Be So Nice To Come Home To, It Could Happen To you, I’ll Remember Paris and I’m Beginning To See The Light. The classic soundtrack from 1975, includes the songs: Dammit Janet by Barry Bostwick & Susan Sarandon, Hot Patootie – Bless My Soul by Meatloaf, I Can Make You A Man by Tim Curry and Super Heroes by Barry Bostwick, Susan Sarandon & Charles Gray. Arcade Fire is a Montreal based indie band consisting of Win Butler and Regine Chassagne on vocals, Richard Parry on organ, Tim Kingsbury on bass and William Butler on synthesizer and drums. The Suburbs is their third LP released in 2010. Songs on the LP include: The Suburbs, Suburban War, Month of May, Wasted Hours, We Used to Wait and Sprawl II (Mountains Beyond Mountains). 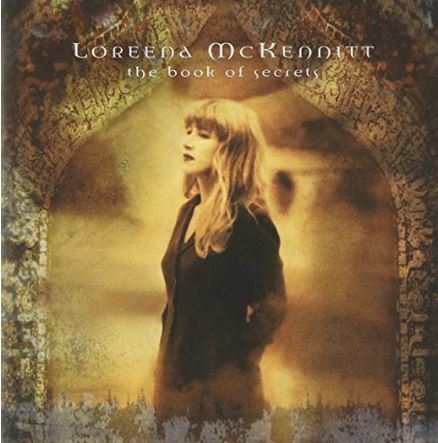 Canadian singer-songwriter Loreena McKennitt’s music is aptly described as deep, ethereal folk music. If you’re in the mood for thoughtful, reflective music than this album is for you! This is McKennitt’s sixth LP and it includes the songs: The Mummer’s Dance, Marco Polo, The Highwayman, La Serenissima and Night Ride Across the Caucasus.